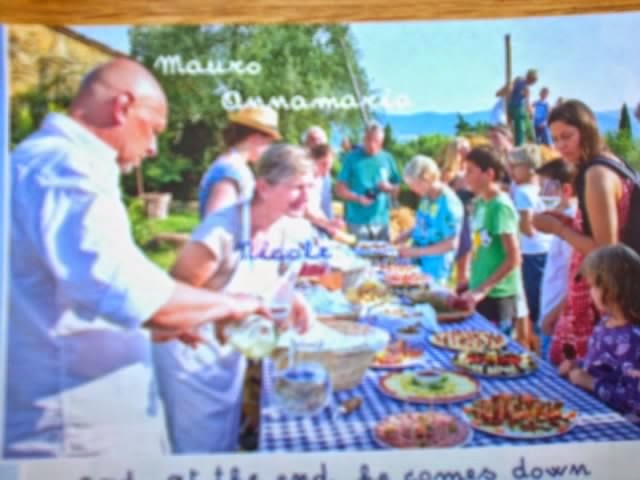 La Vialla's summer catalogue has just arrived and as usual it is full of beautiful pictures of the Tuscan farm and the estate workers either enjoying their job or partaking in the fine food and wine that fills the publication. The photos of the long tables under the fig tree crammed with delicacies, reminds me of last summer's visit and enjoying a splendid lunch at the same tables overlooking the farm. We will be returning again this summer, to renew old friendships and meet new visitors from Germany, Holland and Italy. 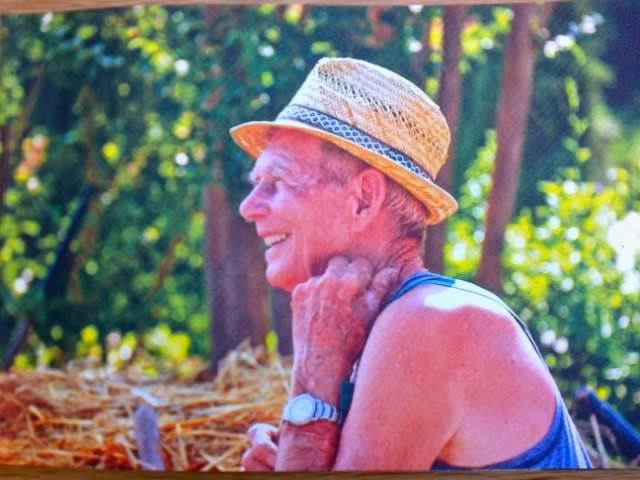 If you are in Tuscany this summer and near Arezzo, then take a detour to Castiglion Fibocchi and visit Fattoria La Vialla. It only takes 15 minutes by car from the centre of the city and you will not regret the trip! Back to the new catalogue, which features all the usual range of products - wine, olive oil, pasta sauces, Pecorino cheese, vinegar, pasta and flour and the glorious hampers. New this year are the wines from the 2014 harvest and a range of new vintage wines. Their 'Chianti Reserva 2011' (below) will not be available until June but most of the other new vintages are ready for shipping now or in April. Have a look at the 'Casa Duro 2011' - a 15% volume red wine which is a mix of Sangiovese, Cabernet and Merlot. It is £12.40 a bottle. Of their white wines, the 'Casa Conforo 2014' looks good - from the Trebbiano grape, this is a favourite of mine (£5.70 per bottle). So too is 'Torbolino 2014' - a blend of Sangiovese, Chardonnay, Sauvignon Blanc and Vermentino grapes. It is ideal with fish or cheese (£6.05 per bottle). There are also some great rose and sparkling wines for as little as 5.60 per bottle. For children, La Vialla have a range of grape juice. 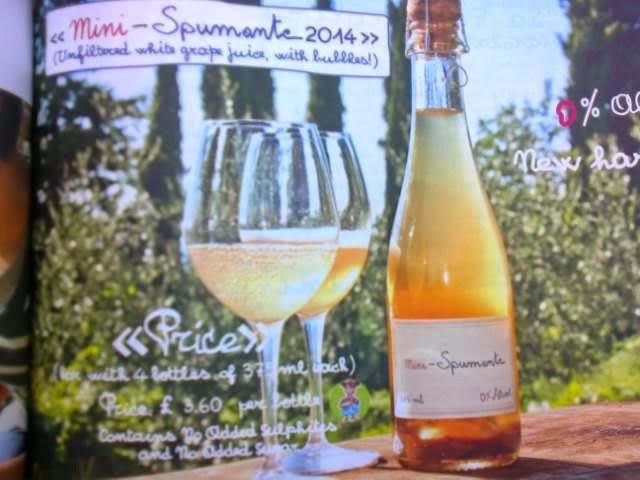 I tasted many of them on my visit last summer and the 'Mini Spumante' (below) at only £3.60 per bottle is a real hit with the kids. They think they are drinking champagne when in fact it is a 100% grape juice from a grape blend but with real bubbles! There is no added sugar. The wide range of pasta on offer in this new catalogue is inspiring when you see it with the glorious lush sauces produced at La Vialla. The most expensive is only £2.50 per bag of 500g. It is dispatched in boxes of 6. 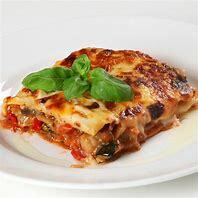 I like the look of the Rigatoni. 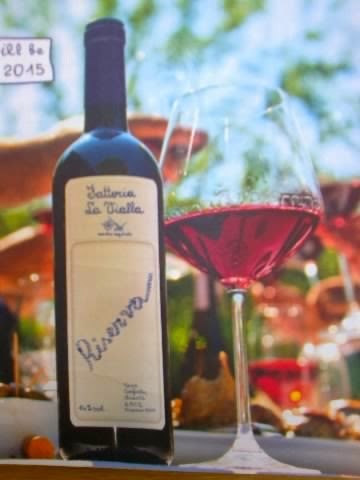 If you have never seen the wonderfully produced Fattoria La Vialla food catalogue then go on-line and send for one today. You will then be tempted to send for some of the excellent food and wine available from this Tuscan vineyard. Shipping to the UK is free for every order over £75.00 and for orders of less there is a standard delivery charge of £7.50, regardless of the total value of the order. Prices are VAT inclusive. Just a tip - when I was last at La Vialla, I met a couple from Holland who told me that they get-together with friends and neighbours when placing an order, and that way they reach the £75.00 minimum for a free delivery. The continuing unfavourable Euro exchange rate has persuaded us to somehow compensate for this disadvantage. For this reason, and until the situation improves, a 10% discount will be applied and appear on the invoice.